Make plans for another great week in Houston, with kids! Here are the top things to do for Monday through Sunday, April 15-21, 2019! You can also find the full list of events (for this week and next week), brought to us by Books Alive! 10th Annual Children’s Book Celebration, HERE! 2. On Tuesday, go to Toddler Tuesday: Max and Ruby’s Bedtime at Discovery Green. This free event includes a storytime and character visit. 4. On Friday, take the kids to Goosebumps by Main Street Theater at MATCH! 5. 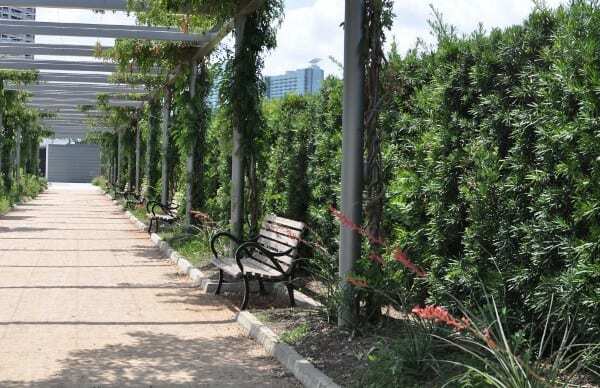 On Friday, go to the Children’s Story Hour at Hermann Park Centennial Gardens. 6. On Friday and Saturday, go to the Easter Eggstravaganza at Blessington Farms. 7. On Saturday, go to HobbyFest for vintage and modern aircraft, military vehicles, kids’ zone, live music, chances to earn Scout badges in emergency response, fire prevention, aviation and crime prevention and more. 8. On Saturday, go to the giant Easter Egg Hunt at Lakewood Church.